We love all of our members here at Office Divvy. Still, there is a special place in our hearts for the companies whose sole mission is to help those who need help the most. For that reason, we’re honored to count The Salvation Army, The United Way, and the Healthy Start Coalition of Volusia and Flagler County among our membership. When the leadership team at the Coalition inquired about Co-Location and Coworking Programs with us back in 2012, we were immediately impressed. In fact, it stunned us to learn about their impact. Yeah, they’re pretty amazing people! Even the organization’s tagline, “strengthening our future,” inspires us! Naturally, we also connected with the non-profit’s drive for reduced overhead and need to operate with a lean approach to business. The Coalition utilizes shared resources, and their Board of Directors manages the proper allocation of those resources to achieve these goals. Supporters of nonprofits and not-for-profits utilize tools like Charity Navigator and Guidestar which look into the fiscal responsibility of companies like the Coalition. This way, people can support without any reservations. Office Divvy and the Healthy Start Coalition fit perfectly together in 2012 and continue to do so today. 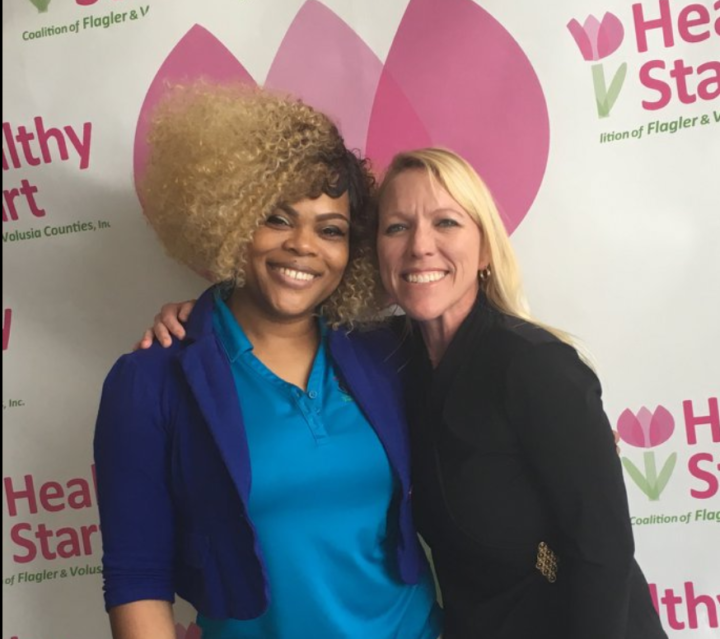 With membership at Office Divvy, the Healthy Start Coalition is able to simultaneously carry out their mission while also developing their local presence in the Palm Coast area. Membership also helps them maintain both low overhead and a professional presence. This means they can allocate more funds to helping pregnant women, babies and families and less on operational expenses. When Yolonda Williams, Senior Parent Educator, is not out in the field meeting with families, young children, or about-to-be mothers, she’s at the Palm Coast Office, Coworking alongside entrepreneurs. She gets her computing work done, coordinating services for a number of programs while also being a part of a greater community of entrepreneurs. She’s also able to conduct professional meetings, like when she has a planning session alongside Larisa Remishevskiy, Program Supervisor of Healthy Families. Or, she can just duck in to print documents and grab a bottle of water between meetings. Yolanda and Larisa—alongside many others—contribute to an ever-growing network of business innovators. Office Divvy is a facilitator of these unique bonds as a business percolator in the Palm Coast community. Yolonda and Larisa are constantly surrounded by other interesting people who are working to make a difference. If you are interested in learning more about Office Divvy’s special membership programs for non-profits, we hope you’ll give us a call. Michael handles a variety of jobs for Office Divvy including content creation and business development. He lives in Palm Coast with his wife and two sons.